The best way to summarize FIRST LEGO League is to say that it is a robotics program which is designed to get children excited about science and technology as well as teach them valuable employment and life skills. You know, that sounds a lot like what we do here. We figure it makes sense to promote an organization that shares the goals of Great Minds Robotics. We contribute to their well-being by preparing teams to compete. Every year has a specific theme. Starting August 2014, teams will build, test, and program an autonomous robot using LEGO® MINDSTORMS® NXT to solve a set of missions in the Robot Game. They will also choose and solve a real-world question in the Project. Throughout their experience, teams will operate under FLL’s signature set of Core Values. Our FLL Teams are comprised of up to ten students with at least one adult coach. 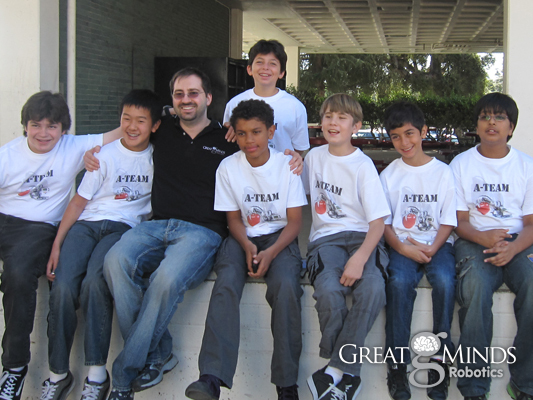 Enroll your child today to give them a chance to try out for the Great Minds Robotics team!